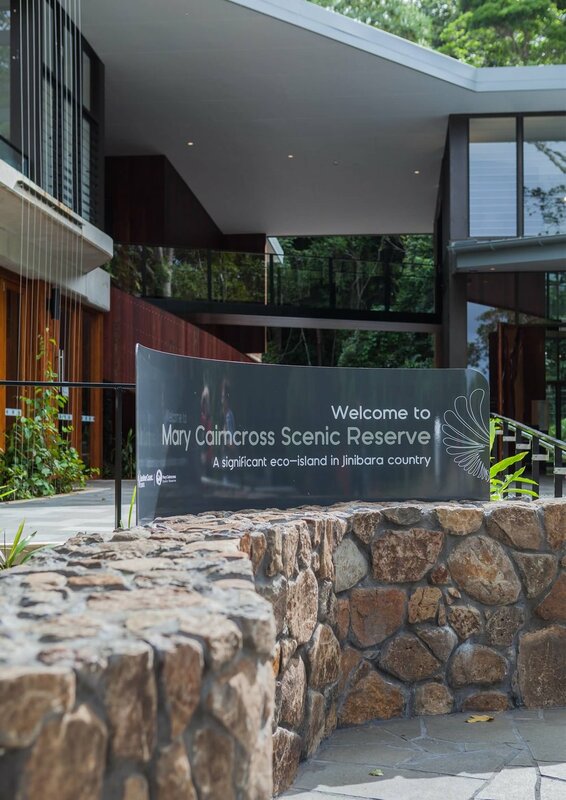 The Mary Cairncross Scenic Reserve Discovery Centre is a new tourism and educational destination for the Sunshine Coast Hinterland with views over the Glass House Mountains. 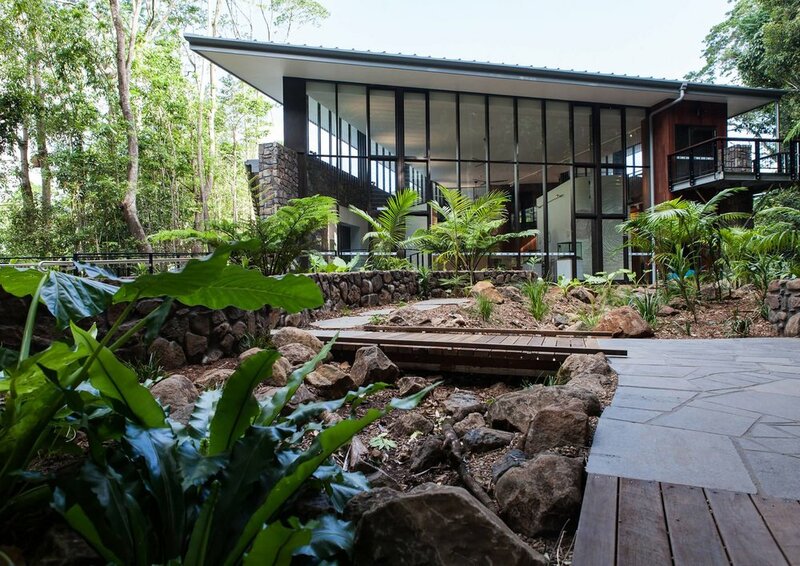 The Centre nestles sensitively into Mary Cairncross Scenic Reserve’s complex nitophyll vine forest, one of the last remaining examples of this vegetation community that once covered the Blackall Ranges. 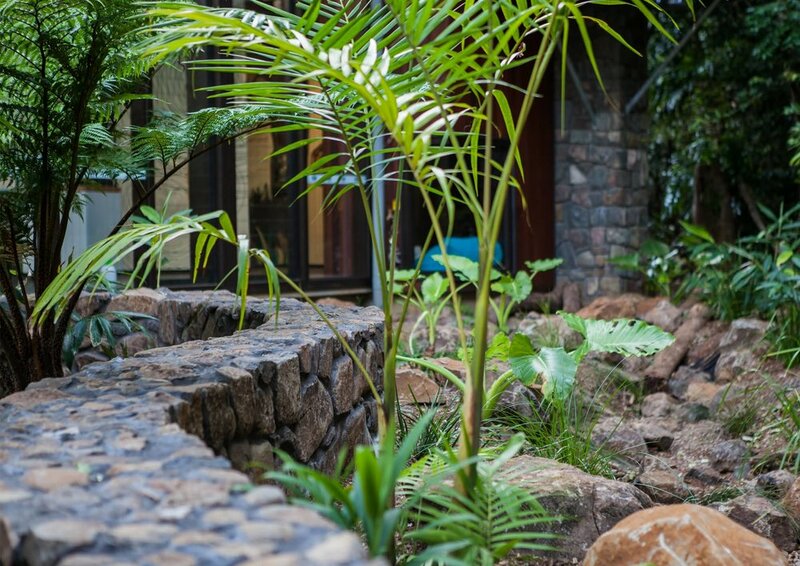 Inspired by the buttress roots that anchor trees to the forest floor, low basalt stone walls ground the building to the landscape as they meander throughout the rainforest. This was just one of the many ways Guymer Bailey Architects and Guymer Bailey Landscape worked together to ensure the architecture reflected the natural environment through the design. 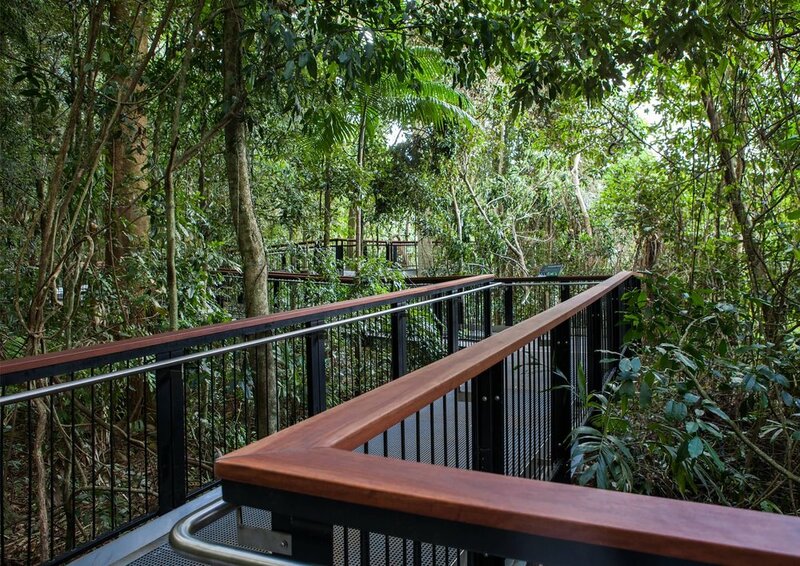 The building, which offers two frontages for views over the Glass House Mountains and the surrounding rainforest, is reached by a long timber boardwalk that loops around to the highest point of the building, allowing scenic access for all visitors and learning opportunities through the interpretive signs featured along the way. 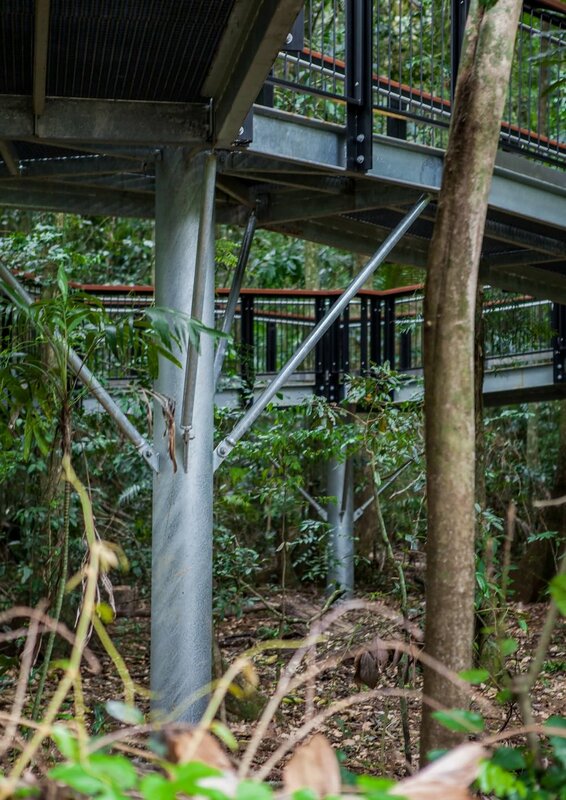 Sensitive to the heavily protected forest, we ensured the boardwalk was threaded through the existing flora to minimise the building footprint. 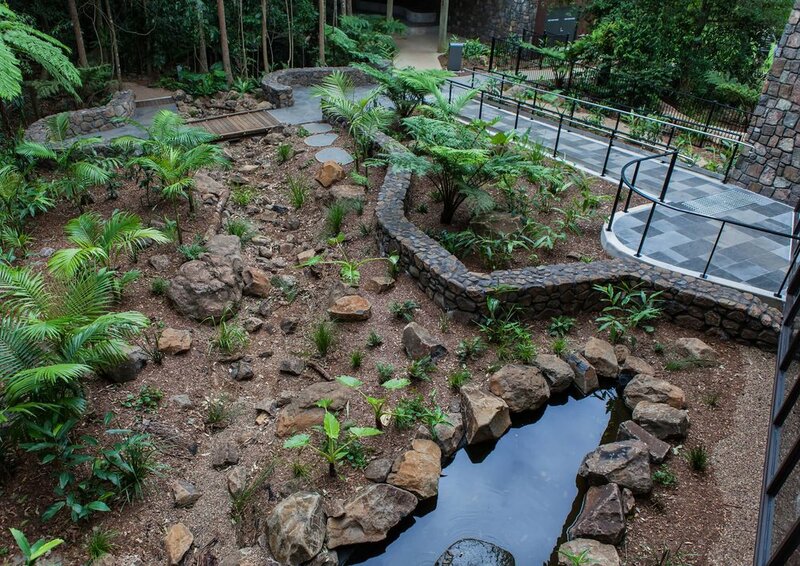 To further minimise disruption, plant species endemic to the area were used for additional landscaping, and most of the design materials were sourced locally. Guymer Bailey Landscape's design was recognised by the Australian institute of Landscape Architecture when it received the AILA Qld 2017 Tourism Award.